What, exactly, do we know? We have narratives of Charlemagne's long reign, but, says Fried, these are paltry, biased, and tell us little about the king's motives or aims. We have a large body of laws and administrative orders enacted by his council, and an even better record of church councils over which he presided. Scattered among the documents saved by Europe's oldest monasteries are copies of some of these decrees marked with corrections, as if this were the very parchment brought into the royal council for final debate and approval. We have a handful of official letters from Charlemagne to the Pope and other worthies, and a fair sample of letters by churchmen who knew the emperor well. We have poems written to praise him. We have two dialogues written by Alcuin, a priest who was one of Charlemagne's closest advisers, that take the form of conversations between Alcuin and emperor himself; some historians think these might vaguely approximate actual discussions between the two men, or at least cover topics they actually discussed. Most famously we have a brief biography written by a man who knew Charlemagne well, the courtier Einhard. But Einhard is oddly silent about most of the things modern readers would like to know, which makes his text as much a frustration for biographers as a help. 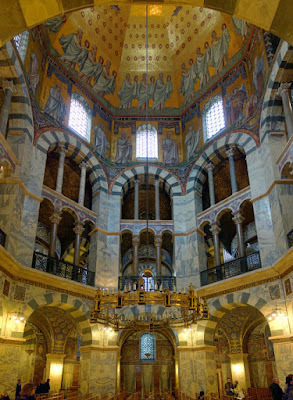 The other Charlemagne was a pious son of the church who worked all his reign to spread the Christian faith, reform and purify the church, uphold the authority of the pope, and educate his people in the basics of Christian doctrine. 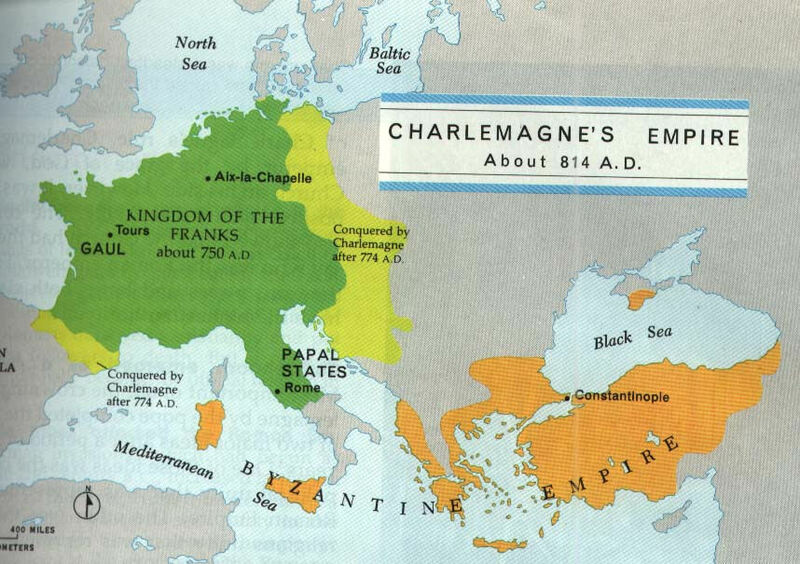 This is the Charlemagne who interests Johannes Fried. Fried is an expert in the intellectual history of this era, and he knows the ins and outs of every text. Fried is out to show that the church reforms and educational programs launched by Charlemagne were crucial to intellectual life in Europe over the next several centuries, that Charlemagne was personally involved in all of this, and that his immersion in Christian thought and church administration completely change the emperor's approach to ruling. 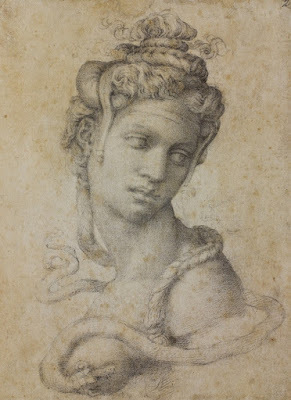 This renaissance in knowledge and aptitude was not sought for its own sake, nor was competence in Latin revived just for the purposes of logic. The purpose of both, as the Church Father St. Augustine had stressed in his writings, was to promote the soul’s redemption, the true faith, the correct observance of sacred rites, and the understanding of the Holy Scriptures and of the world order ordained by God, and thereby to support a form of rule that was pleasing to God and included welfare provision for the poor and disadvantaged, another key requirement of religion. Religious motives really did drive Charlemagne’s concern for education, and along with this his desire to establish the first step in the rationalization of European intellectual culture. . . . These are radical ideas, but Fried has some strong arguments. For example, Charlemagne's council enacted several laws over the years trying to keep the free men who made up his army from being turned into serfs by powerful lords, each law prefaced with a statement saying that the old laws had been ignored. 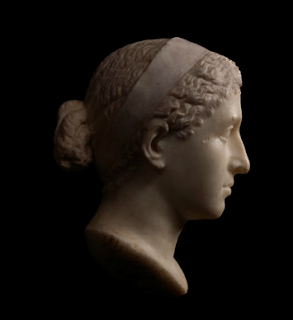 The counts, the chief secular officials of the empire, were criticized on this point again and again. In his last set of laws Charlemagne enacted that henceforth no count could strip a man of his freedom unless a bishop were also present and concurred in the ruling. This seems like a clear attempt to rectify the shortcomings of secular justice with the church's help. Later in the Middle Ages there would be centuries-long conflicts over the boundaries of secular and church power, marked by several wars between popes and emperors. During the course of those disputes the popes used a number of documents that were supposed to date to the reign of Constantine or not long afterword, which established the superiority of the pope over the emperor. Fried shows that some of the most violently pro-church, anti-secular documents did not come from the papacy; they were forged in monasteries under the control of Charlemagne and his close friends, either at the end of his reign or during that of his son Louis the Pious. (E.g., the Decretals of Pseudo Isidore, and the first version of the document that evolved into the Donation of Constantine.) It was the men around Charlemagne who gave the popes the strongest arguments for their superiority. Fried's Charlemagne despaired of secular power. He gave up thinking that he could bring his great empire to order by more laws and more wars. 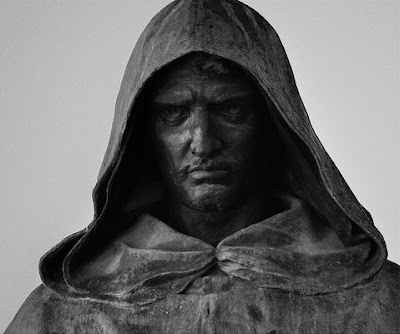 He came to believe that only divine order, flowing through a perfectly ordered church, administered by learned priests and bishops, backed by the great learning of the Church Fathers, could bring peace and justice to this fallen world. Captured by the logic of theology and canon law, he saw in the rationality of Catholic learning and the holiness of the church the only hope for his fractious age. I can't decide what to make of Fried's Charlemagne. If Charlemagne really turned against the whole basis of his ancestors' rule, it seems odd that his friend Einhard would have failed to mention it. It has happened many times in history that the court of an aging king was taken over by a faction of ideologues, and I can imagine that this might have happened to Charlemagne; perhaps the imperial acts that fascinate Fried were more the product of a cabal of churchmen than of the emperor himself. But on the other hand the subsequent history of Europe to some extent bears out the views that Fried attributes to Charlemagne: secular authority did fail to maintain order, the empire collapsed into civil war, and whatever order, justice and learning survived in the crumbling Frankish empire was maintained by the church. This is a thick book dense with learning, not for the faint-hearted. 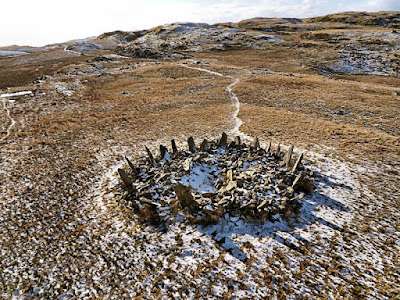 But the writing is good and there are lots of interesting little stories and small triumphs of research to keep things moving, so anyone with interest and plenty of time can learn a lot about the Carolingian age from Fried. Even more, you can see in this book the mind of a great scholar at work. Fried displays here the kinds of arguments and insights that are possible for someone who has mastered the vast apparatus of historical scholarship on an intensely studied period. Fried has also delved deeply into the available sources, squeezing them to the limit for the stories they can tell. It is an amazing performance. If it fails to completely convince, that is partly because Fried is honest about the limits of our understanding. He has, as he warned in his preface, gone beyond what can be proved to what can only be imagined; and he has done this in a very impressive way. Johannes Fried, Charlemagne. Translated by Peter Lewis, from the Harvard University Press, 2016; German original 2013. 554 pages of text, 75 pages of notes. Meet the New Boss. . . .
Donald Trump's closing argument in this presidential campaign was a two-minute advertisement blaming America's problems on a conspiracy of global financiers like George Soros and Goldman's Lloyd Blankfein, so it seems fitting that the two leading candidates to be his Treasury Secretary are Steven Mnuchin and Wilbur Ross. Mnuchin is a former Goldman Sachs Group Inc. partner, used to work with Soros, and is in Skull and Bones. Ross was literally the president of a secret Wall Street fraternity that holds black-tie dinners where they perform in drag and make fun of the less fortunate. If you voted for Trump to kick the Illuminati out of Washington, this must be a disappointment. Now it looks like Mnuchin is getting the nod for Treasury, which is in a way hilarious; you campaign against the power of international bankers like Goldman Sachs, and then bring a Goldman Sachs partner into your cabinet. In the Azores, an archipelago approximately 900 miles off the coast of Portugal, a group of sperm whales huddles beneath the surface. 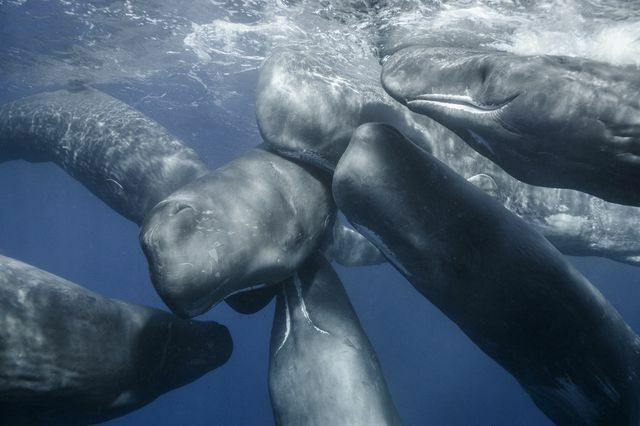 While adult males are solitary creatures when not breeding, females and juveniles assemble in pods of 10 to 20 members, often vocalizing and touching each other when socializing, as seen here. And this set me wondering. What is it like for an adolescent male sperm whale to leave the pod and set off on his own? Is he lonely? Does the longing for companionship drive him to fight other males for access to the females during mating season? Or is he happy to be free? Does maturation among male sperm whales cause them to lose the need for companionship they had in their youths? I am convinced that all mammals have feelings, so I'm sure that sperm whales feel something. But I cannot imagine what a male sperm whale feels during his decades of lonely life in the deep ocean. MDMA, better known as Ecstasy, was actually used by therapists before it ever become a street drug. But once it spread to the dance clubs and began to kill people the authorities clamped down, and it became a Schedule 1 drug with no legal uses. In particular there has been interest in using it to treat Post Traumatic Stress Disorder. The idea is that reviewing the horrible memories under the influence of the drug's flood of good feeling can loosen their hold on the mind and render them less terrifying. Enough anecdotal accounts of people self-medicating themselves with the street version have emerged to make some psychiatrists long for a real trial. Now, finally, this is getting under way. The Multidisciplinary Association for Psychedelic Studies has completed six small, Phase 2 studies of the drug involving 130 patients, and the results have been good; in one of these studies 2/3 of the patients ended up no longer meeting the diagnostic criteria for PTSD. Some of the patients have raved about their results. "If it weren't for MDMA, I'd be dead," one said. So now there will be a larger, more formal, Phase 3 trial, opening the way for eventual approval of MDMA as a prescription drug. That might be great for many sufferers, but other people look at our experience with expanding the prescription of opiates for pain and see another drug crisis looming. After all, MDMA is both fun and dangerous, and vulnerable people can get addicted. In the recent studies MDMA is given in a doctor's office, under supervision, so the idea is not to give people a bottle of pills they can take home or sell. Even so, legalizing the drug will increase the supply, and perhaps also convince many people that self-medicating with it might be a good idea. But then just about everything is dangerous if misused, and I say if it helps any of the wounded, we owe them a chance to try this cure. 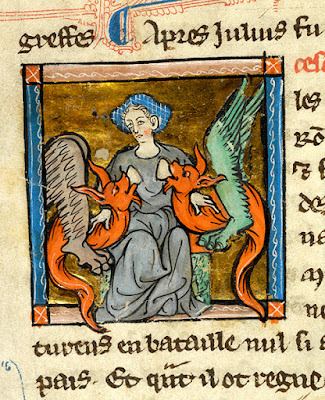 With swan's heads. 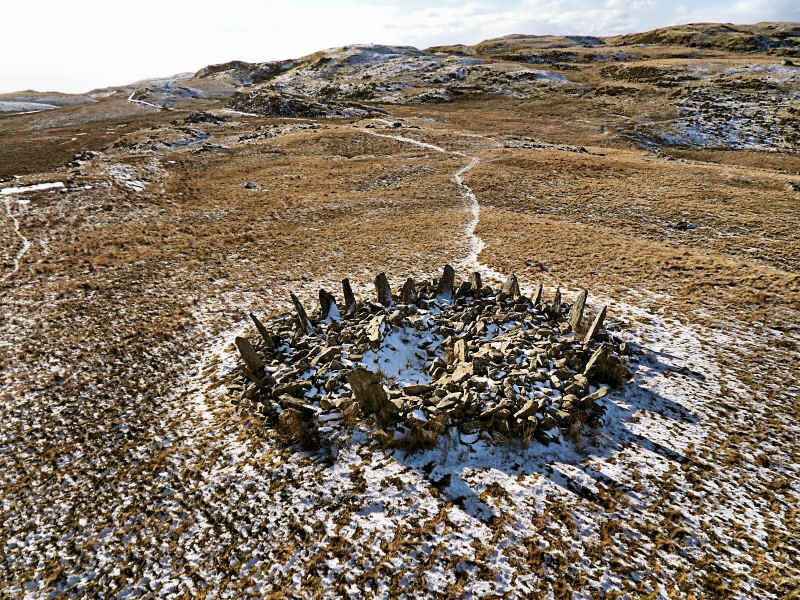 No archaeological context, dated by style to c. 200 BCE to 100 CE. From Timeline Auctions. All year, Donald Trump has been promising to rescue the US coal industry by repealing various Obama-era pollution rules and ending the “war on coal.” And all year, analysts have pointed out that he probably can’t stop the collapse of the coal industry — since coal’s woes go far beyond the Environmental Protection Agency. Last weekend, the CEO of Michigan’s largest electric utility reiterated that his company is still planning to retire eight of its nine remaining coal plants by 2030 — whether or not Trump tries to repeal President Obama’s climate policies. “All of those retirements are going to happen regardless of what Trump may or may not do with the Clean Power Plan,” DTE Energy’s Gerry Anderson told MLive.com’s Emily Lawler. Anderson’s reasoning was simple. Coal is no longer the economic choice for generating electricity, due to relentless competition from cheaper (and cleaner) natural gas and wind power. In Michigan, a new coal plant costs $133 per megawatt hour. A natural gas plant costs half that. Even wind contracts now cost about $74.52 per megawatt hour, after federal tax credits. “I don't know anybody in the country who would build another coal plant,” Anderson said. This fits with what the TVA announced last year, that they would finish closing 26 of their 59 coal-fired plants by the end of 2016, far ahead of any Federal requirement. They offered the same reason: natural gas is cheaper and cleaner. Not only are natural gas plants cheaper, they can be much smaller, and therefore nimbler, leaner, more dancing in the chaos, whatever trendy business buzzword you prefer. It simply makes no sense for any company to sink a billion dollars of capital into a huge coal-fired plant when the future market looks both unprofitable and highly uncertain. So coal production will continue to fall, and coal mining employment will fall even faster, since companies are responding to falling demand by closing the most labor-intensive mines first. And all of this is happening before a single provision of Obama's Clean Power Plan comes into effect. In fact we may fulfill the overall goal of that plan – a 30% cut in emissions from generating power by 2030 – next year. It certainly might be true that having Obama's plan hanging out there is part of the calculus that makes new coal-fired plants look dubious to utility executives, but since there is bound to be another Democratic president eventually, just repealing Obama initiatives won't remove that uncertainty. These are the headwinds that Trump and his voters are running into: both the environmentalism of the left and the free capitalism of the Paul Ryan Republicans are pushing America away from coal, and it would take a massive government commitment to push back effectively. I share the view that the world of 2100 is simply unimaginable. Part of my mind says that change is always less sweeping than we think, continuity greater; but the other part says no, it just has always been that way before, and this time it could really be very different. Submitted to the Smithsonian's photo contest in the "altered photograph" category. What Happens if Assad Wins? With the Syrian government making large territorial gains in Aleppo on Monday, routing rebel fighters and sending thousands of people fleeing for their lives, President Bashar al-Assad is starting to look as if he may survive the uprising, even in the estimation of some of his staunchest opponents. Yet, Mr. Assad’s victory, if he should achieve it, may well be Pyrrhic: He would rule over an economic wasteland hampered by a low-level insurgency with no end in sight, diplomats and experts in the Middle East and elsewhere say. Post-civil war Syria was described by former U.S. Ambassador Robert Ford as "a half-dead corpse. . . a gaping wound that stretches as far as the eye can see." Assad has offended the U.S. and the E.U. too deeply to be able to get any rebuilding aid from them or the World Bank, and his friends in Iran and Russia don't have much money to give him. So the Syrian government will be broke, its industry ruined, its largest city rubble, with ISIS and al Qaeda still on the loose. Syria's suffering is likely to go on for at least another decade. Flamingos are very good dancers. They twist and preen, they scratch their heads, they march in unison. They poke a wing in one direction and a leg in another. They bend forward, sticking their tails up; they vigorously flap their wings in a flashy red and black display. 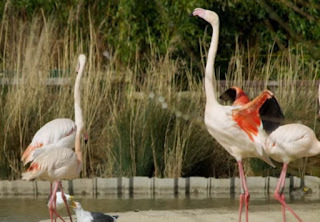 Flamingos are serially monogamous. They mate for one year, get divorced, and find a new mate the next year. New mates are mutually agreed upon — males and females both dance in search of a compatible partner. Now researchers have discovered that birds with the largest repertoire of dance moves, and the ability to switch quickly and often from one move to another, are the ones who most often succeed in finding mates. This ought to excite my youngest daughter, a fan of Dancing with the Stars who occasionally greets me with, "Hey, Dad, show me your new moves!" . . . . . . . . um, yeah. Sure. Videos of dancing flamingos here and here. 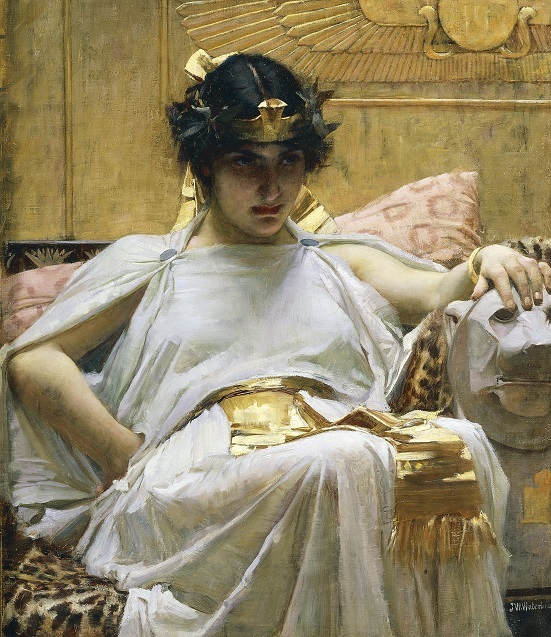 A quick tour of some of the ways Cleopatra VII Philopator (69-30 BCE) has been portrayed in western art, beginning with a possible contemporary portrait, now in Berlin. 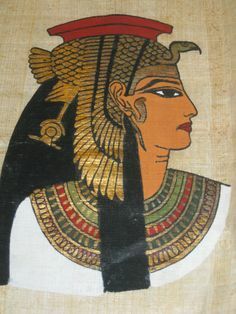 Cleopatra as an Egyptian goddess, contemporary. 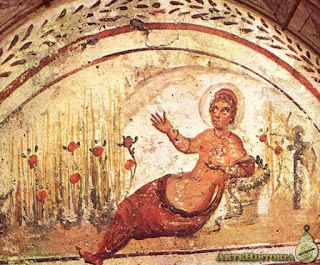 Cleopatra's Suicide, from the catacombs on the Via Latina. Manuscript illustration from France, 1300 to 1310 CE. 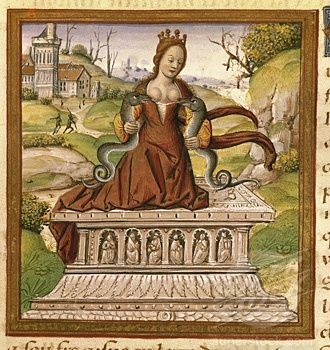 Here the image of Cleopatra holding the fatal asp to her breast has been confused or deliberately merged with the ancient image of the mother of monsters nursing her brood. 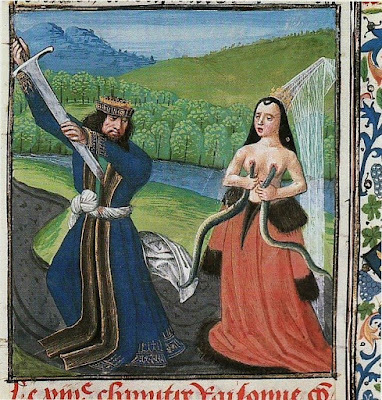 The Suicides of Anthony and Cleopatra, Italian, c. 1480, from a manuscript of Boccaccio's Decameron. This one also has a little of the mother of monsters theme. Elisabetta Sirani, c. 1650. Cleopatra dropping the pearl in her wine. 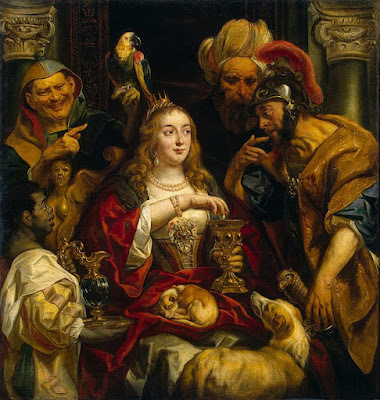 Cleopatra's Feast by Jacob Jordaens, 1653; Cleopatra as a plump Flemish matron. 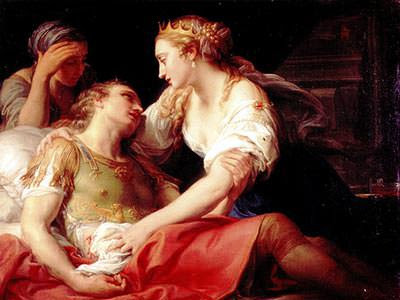 In the 18th Century: Cleopatra and the Dying Mark Anthony by Pompeo Batoni, 1763. 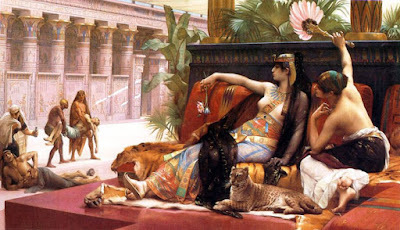 Cleopatra as an exotic (and cruel) Oriental: Cleopatra Testing Poisons on Condemned Prisoners, by Alexandre Cabanel, 1823. Femme fatale: Cleopatra by Mosè Bianchi, 1865. 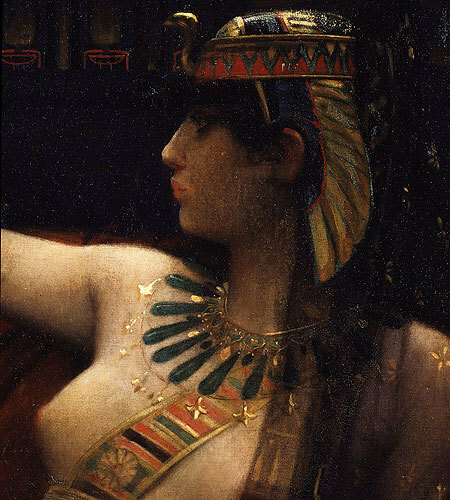 Lawrence Alma-Tadema, The First Meeting of Cleopatra and Antony, 1885, and detail. Note the spider web pattern in the cloth shielding her from the sun. Brooding and dangerous: John William Waterhouse, 1888. And in an Afrocentric 20th-century version you can buy from hundreds of web sites, none of which credit an artist. How Long Have People been Dissing Each Other? Consider Trump’s core campaign message, from which he rarely wavered. Free trade is bad, and is responsible for the nation’s economic decline. Immigration is an existential threat to the American way of life. Global institutions, treaties, and alliances should be viewed with suspicion. Nationalism is a bulwark against globalization. All of this seems heretical to today’s free-market, foreign affairs conservatives, but it’s actually just the revival of what once passed for party orthodoxy. In the 1920s, Republicans hated free trade, preferring protective tariffs. . . .
Republican suspicion of free trade found a corollary in suspicion of the open borders. Earlier in the 20th century, Republicans had fallen under the spell of writers like Madison Grant, whose polemical 1916 book, "The Passing of the Great Race," argued that the white Anglo-Saxon population would be inundated by the waves of “inferior” groups – Jews, Asians and other non “Nordic” peoples – unless immigration could be curtailed. Eventually, Republicans in Congress put a stop to immigration, imposing a draconian quota system. Of course, Republicans refused to join the League of Nations, and they opposed any involvement in European or Asian wars down to 1941. Anti-globalism remained at the core of Republican beliefs until 1952, when the internationalist Eisenhower became the candidate; the first strong free-trader to get the Republican nomination was Goldwater in 1964. This fits with what I have been trying to say: that until Trump there was no real conservative party in America, and hadn't been since before Reagan or even Goldwater. Many Americans still long to wall off the world and keep things here just as they are, and the whole elite keeps telling them that what they want is impossible. Until Trump. The Guild Chapel in Stratford-upon-Avon, England, is one of the town's most important medieval buildings and a regular stop on all historical tours of Shakespeare's birthplace. 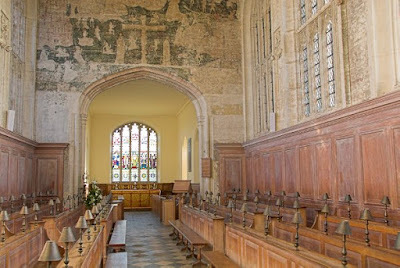 The guild constructed its first chapel in 1269, and parts of that structure are still present. 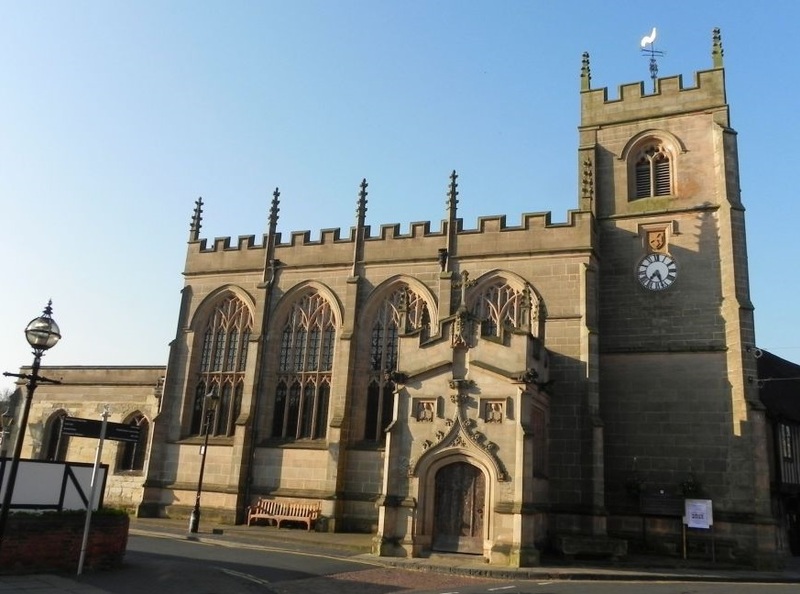 But the current tower and nave were built over the course of the 1400s. The removal of all signs of idolatry and superstition, from places of worship, so that there remain no memory of the same in walls, glasses, windows, or elsewhere within their churches and houses. The good people of Stratford decided that this included the painting of Christ at the Last Judgement in their chapel. 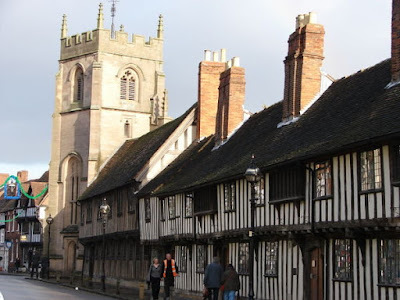 An interesting historical footnote is that it was Will Shakespeare's father, John Shakespeare, who as royal bailiff of Stratford would have received the order and been responsible for carrying it out. Some have read the careful whitewashing of the painting (many Catholic images were smashed or otherwise badly damaged) as a sign that he was either a Catholic sympathizer or a closet art lover. Now, thanks to a £100,000 grant from the Heritage Lottery Fund, the murals have been uncovered and restored. 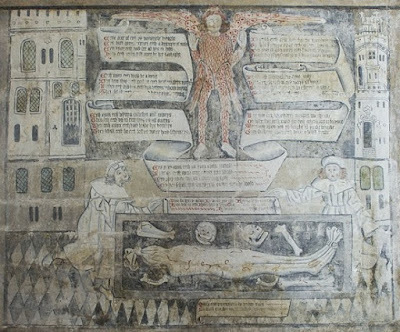 One of the most interesting paintings is this Allegory of Death, with extensive text in English. 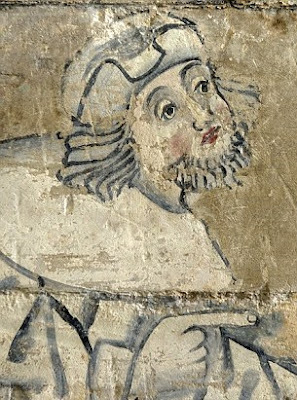 Details from the main panel of Christ in Judgement. I have always found the way the English Reformation played out fascinating. 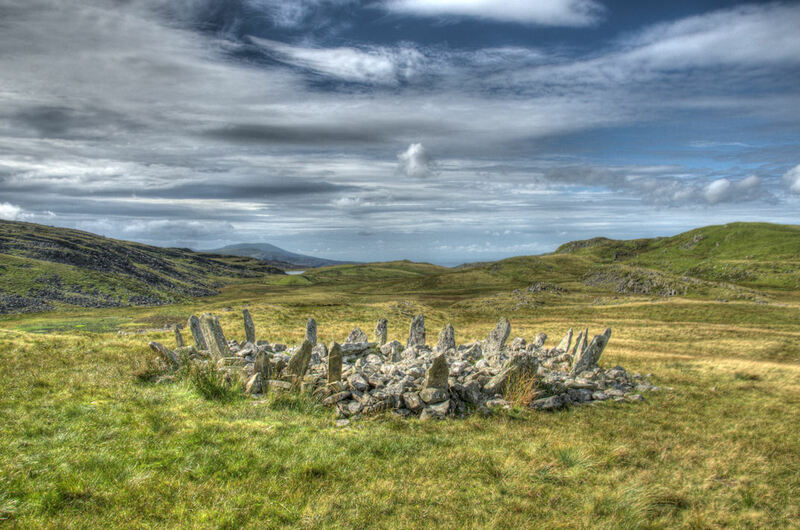 Some people cared a great deal whether they were Protestant or Catholic, enough to risk death for attending secret ceremonies or even rebel against the crown. But most people seem not to have bothered much about it. When Henry VIII took control of the English church he required all the priests to swear an oath acknowledging him as head of the church, and almost all of them did. 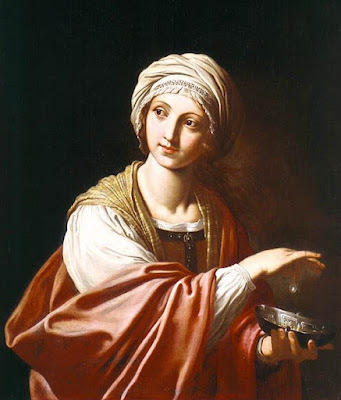 When his daughter Mary took the church back to Rome, most of the priests stayed in place again, and when Elizabeth went back to Protestantism more than 90 percent of the priests took the oath to her. To me this says that the average early modern Christian was not particularly concerned about theology. On the other hand many English people informed on their neighbors who attended secret Catholic or Dissenting ceremonies, and prejudice against Catholics and Dissenters was quite strong into the late nineteenth century. What bothered people most was sins against community, and they did not much like it when their neighbors thought themselves too holy to attend the same church as everyone else. Whatever denomination it happened to be. Round cairn in Wales dating to the early Bronze Age, c. 2000 BCE. Somewhat disturbed by Victorian treasure hunters and others, but on the whole remarkably intact. Diameter 29 feet (8.7 m). What would you do if you thought the end of the world was at hand? For a remarkable assortment of Christian leaders, the answer has been "create a new church or organize major reforms of the old one." Even stranger to me, some of these reforms have focused on education. "There aren't actually going to be any future generations, but let's throw all our efforts into building schools for them anyway." 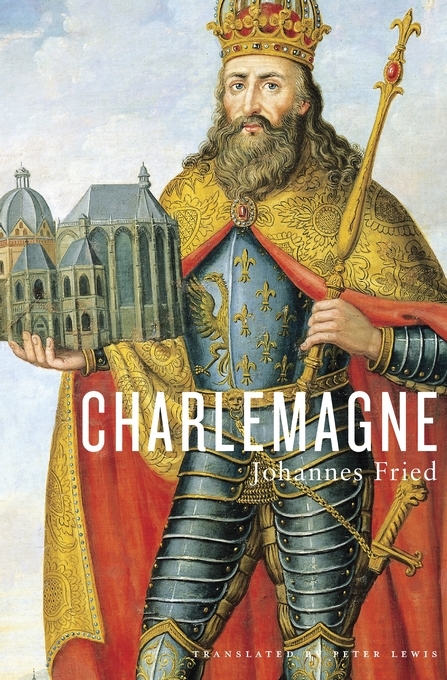 I've been thinking about this because I am reading a big new book about Charlemagne by the very learned German scholar Johannes Fried. There was a major millennarian scare associated with the year 800, because St. Jerome had once calculated that would be the 6,000th year of creation. Not everyone accepted this calculation, but one who did was Alcuin, an Anglo-Saxon priest who became one of Charlemagne's closest advisers. Alcuin was constantly reminding his boss that with the end near he had to prepare to meet his maker, both in a personal sense and as a great leader; Alcuin was one of those medieval thinkers who believed that a king would one day have to answer for the spiritual state of his whole kingdom. 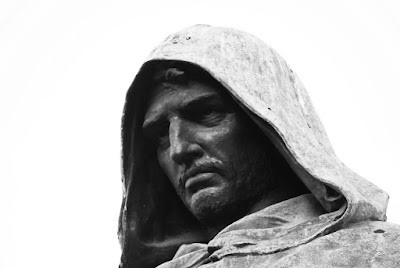 Fried argues, with an alarming number of citations to a bewildering array of sources, that their fear of the impending end drove Alcuin and Charlemagne to lead what we call the Carolingian Renaissance. This was a movement to reform the church across Charlemagne's vast empire so that all monasteries would be following the same rule, all churches would be saying the mass in the same way, all churches would have accurate texts of the Bible (or at least the parts used in the mass), and all priests would be able to read Latin. 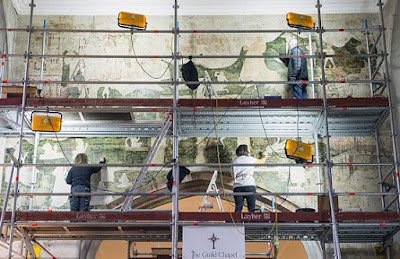 In the long term two of the main results of this were the creation of numerous schools all across northern Europe and several important scriptoria for the copying of manuscripts. 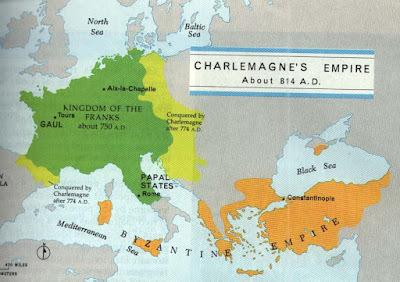 Charlemagne required the monasteries his family had founded or supported to open schools for the training of priests. 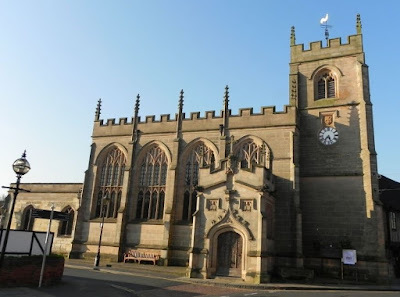 Some of the abbots objected, saying either than they couldn't afford it or that their job was to withdraw from the world and pray, not get involved with non-monastic students. 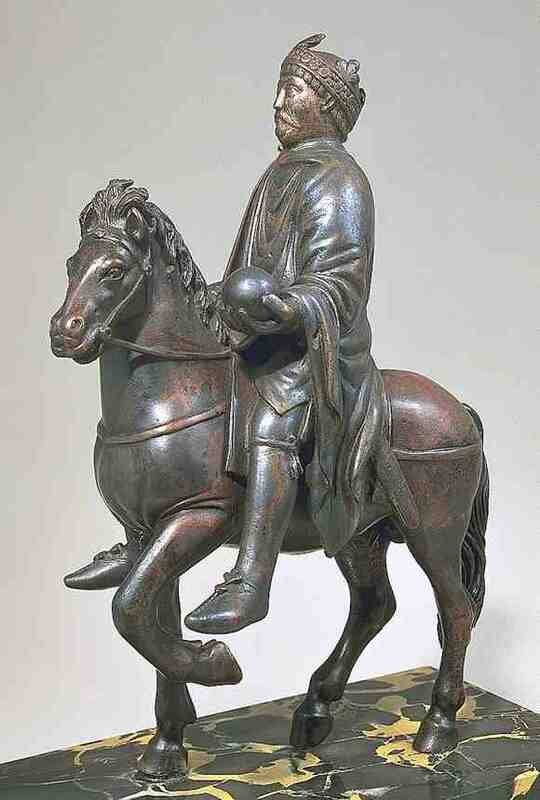 But Charlemagne insisted and got his way. 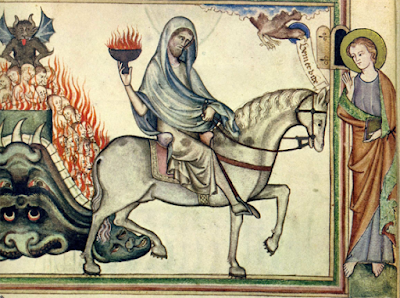 Fried calculates, in a rough way, that this effort required as large a share of the economic productivity of Charlemagne's Europe as Germany spends on education today; just the production of new Bibles and liturgical texts required the skin from hundreds of thousands of sheep and goats. 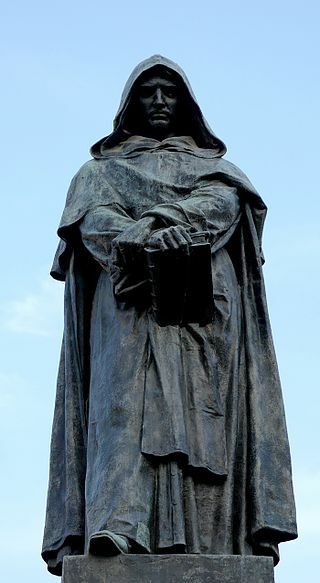 Martin Luther was another reformer motivated in part by a looming sense that the end was at hand. One of my old professors, Gerald Strauss, wrote a book called Luther's House of Learning about the educational reform efforts of Luther and other early Protestants, which brought about an educational revolution across Protestant Germany. Some of the Luther experts who reviewed the book said that Strauss had Luther all wrong. Luther, they said (with a vast array of citations), was personally focused much more on the Apocalypse than on primary school. And yet somehow he did lead a huge reform of the church, including its schools. In the 20th century we have the example of the Jehovah's Witnesses, which sprang from the teachings and calculations of Charles Russell. Russell worked out that the "time of troubles" preceding the End began in 1914, a belief still widely held by Jehovah's Witnesses and many others; motivated at least partly by the impending end, the Witnesses have launched a very effective worldwide missionary effort. And of course there were Jesus' original Apostles, who believed the End would come within the time of their lives and created the Christian church. The psychology of this intrigues me. Does the sense of End Times generate an anxious energy that has to be used for something? Does it end up lending urgency and hence effectiveness to the efforts of church leaders? Does it help churches raise money? Whatever it is, maybe the strange motivational effectiveness of these beliefs helps to explain their persistence despite thousands of years of false predictions. 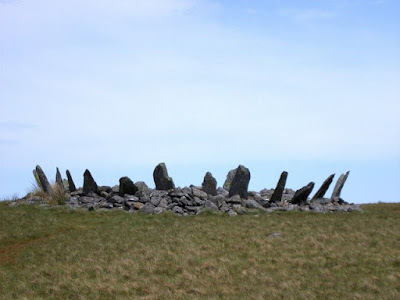 As Alastair Bellany and Thomas Cogswell explain in the greatest possible detail, James, an old man long in indifferent health, almost certainly died of natural causes, as official sources claimed at the time. It seems equally certain that his favorite, the Duke of Buckingham, made an irregular if well-intentioned intervention in his treatment, sending the King a plaster and a potion, but there is no better evidence that this proved fatal. The political and diplomatic context, however, was propitious to other readings. James's death in 1625 occurred in a court riven by personal rivalries, and a nation that harbored ideological divisions, intensified by foreign policy. The old King had been committed to keeping his realms out of war, but shortly before his death Buckingham, and James's own heir Charles, had turned vehemently to an opposed course, of conflict with Spain. James's demise could thereby be deemed to have occurred at a convenient moment for both of them, enabling Charles to open his own reign by attacking the Spanish, while retaining Buckingham as his best friend, adviser and executive agent. Rumors that Buckingham's medical intervention had been disastrous therefore blended with darker suspicions that it might have been maliciously intended. 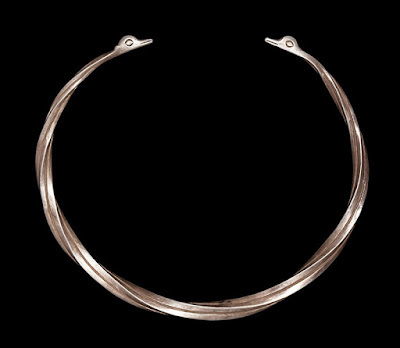 In 1626, these were employed in an attempt to discredit the war policy, by a Scottish Catholic exile in the pay of Spain, who wrote a pamphlet, smuggled into England and distributed, which accused Buckingham of having poisoned not only James but a leading nobleman, the Duke of Hamilton, who had likewise become inconvenient to him. This convinced some private commentators, and seems to have been influential in persuading the House of Commons to include an accusation of having intervened fatally (if not necessarily deliberately) in the late King's treatment, in the impeachment that it launched against Buckingham soon after. Charles's insistence of standing by his favorite led to the failure of the Parliament concerned, which in turn contributed to the King's decision to rule without any Parliaments through the 1630s. Nor did the accusation fade away quickly. It was revived in the Civil War period, when it was extended to the King himself, and in fact it remained a staple of Puritan historiography down to the period of the American revolution. Indeed, their book takes its place among a succession of works that have further eroded the nineteenth-century portrait of the Civil War and Revolution as the inevitable outcome of profound social change and of the rational self-interest of a national spirit rising up against outmoded and oppressive ideologies. 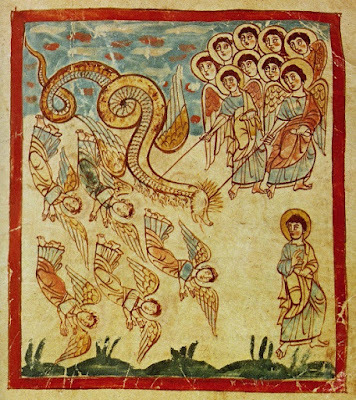 It makes an important addition to a growing sense of the political actors of the time as people propelled by largely questionable fears, extending from the cosmic (anxiety about personal damnation or divine wrath against their whole society) to the transitory (a terror of specific conspiracies by ideological enemies to destroy all that those imagining them held dear in their world). 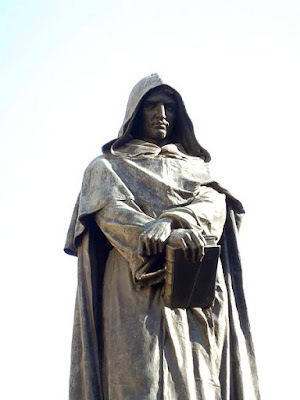 Statue of Giordano Bruno by Ettore Ferrari, 1889. Erected in the Campo de Fiori, Rome, on the spot where Bruno was burned at the stake as a heretic in 1600. 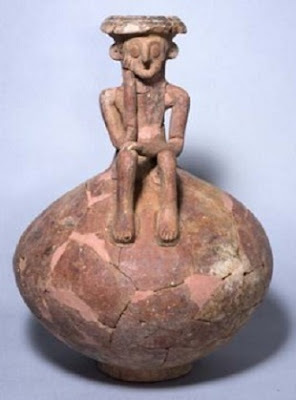 Middle Bronze Age, recently unearthed at Yehud. 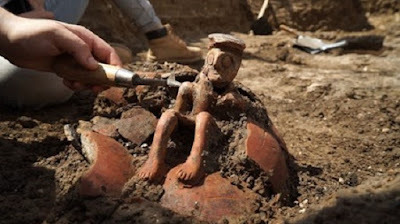 Above reassembled; below, as it came out of the ground. How about We Keep the EPA? How Much is Enough to Govern? Is there a Case Against Democracy?